Posted by Steve on July 31, 2013 Comments Off on Southwest Greens of the Valley…now offering a 5mm cushion for your custom putting greens! 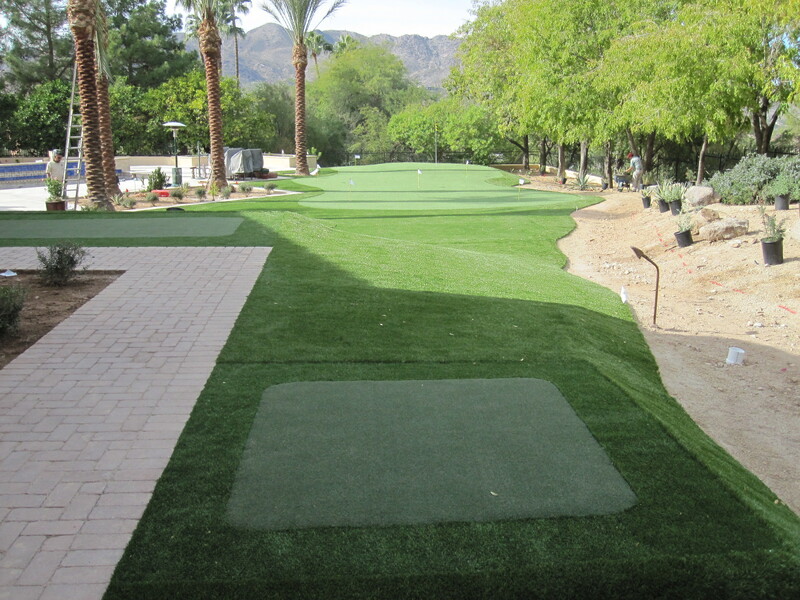 Southwest Greens of the Valley in Phoenix, Arizona is the only custom synthetic turf putting green company offering a 5 millimeter cushion to go under your putting green turf. What does a 5mm cushion mean for you? First, if you have a sand in-filled putting green like those we build, over time, the sand will compact and make your putting green surface hard and fast, maybe too fast. If you are chipping to your golf green, the ball may skip and roll right off the green due to the hardness. 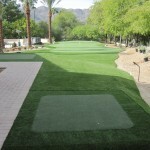 With our 5mm cushion installed underneath your putting green turf, it will keep your golf green supple and soft. It will not only give it more longevity, but will accept shots from over 200 yards that stop on a dime, and you can even spin the ball back with our cushion, just like a real golf green. When you choose Southwest Greens of the Valley you are choosing the #1 company for custom Nicklaus Design golf greens, lawns, playgrounds, bocce ball and croquet courts. 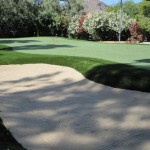 To learn more about Southwest Greens of the Valley and how we can build your custom golf green, please visit www.swgarizona.com. Please contact us for more information or consultation at 480-664-9417 or click here to email us. Our weather can bring some heavy rains at times especially when it’s a monsoon. Yes, those monsoons can be a nuisance, but the majority of the time any damage to your synthetic lawn or putting green can be fixed to its original design by Southwest Greens of the Valley here in Phoenix, Arizona. How will your lawn or golf green hold up when you get heavy rains? If an unusual amount of rain falls (2-5 inches) in a quick period of time. a few things can happen to your turf, but nothing to permanently damage it. Southwest Greens turf drains 126 inches of water per hour, but that doesn’t mean your base will drain at that rate. Water flow could lift your turf and damage the base area. That can easily be fixed by having a Southwest Greens’ installer roll back your turf, fix the base area, re-compact and then re-attach the turf. It will look just like it did before the storm! Heavy water flow can also wash out the infill of silica sand and crumb rubber. That shouldn’t be a problem. Southwest Greens can come out and re-infill your turf and power broom it to make it look brand new. 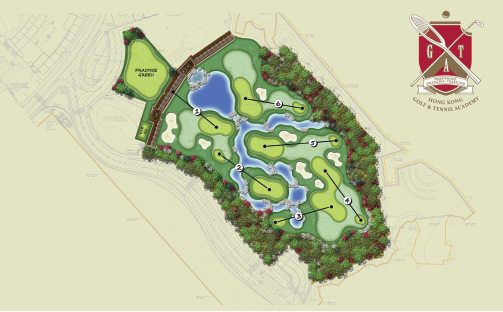 Your golf green infill, which has approximately seven pounds per square feet of a combination of round ball-bearing silica sand and a top dressing of black and green round ball-bearing silica sand, could partially be washed out. Just call Southwest Greens of the Valley and we will come out and re-infill your golf green with the same silica sand and we will then re-roll your golf green to give it the same roll and speed it had before. 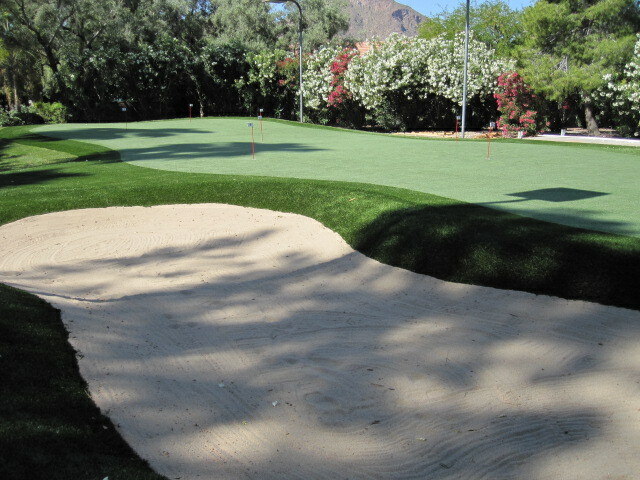 Southwest Putting Greens International, Inc. and Southwest Greens of the Valley began installing synthetic turf grasses, play area, putting greens, tee boxes, tee lines and more here in the Valley of the Sun in 1996. 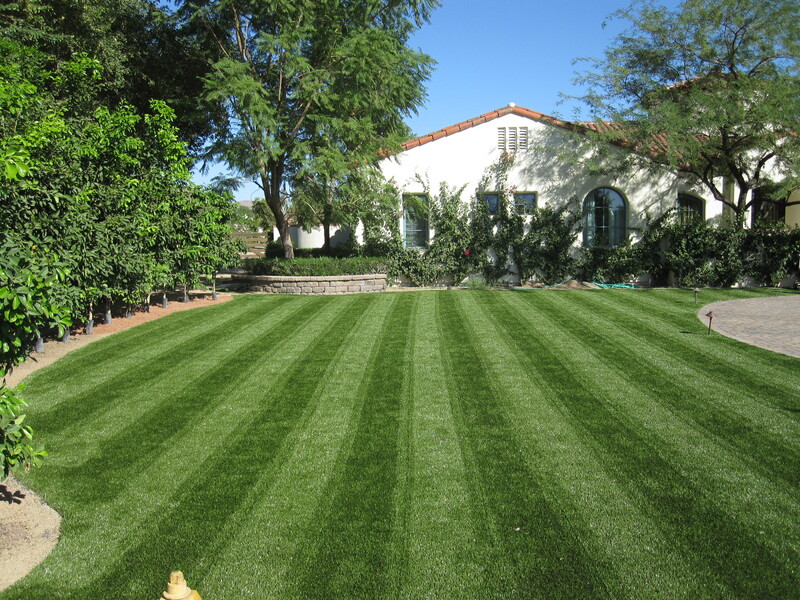 As one of the first companies to offer this product to Phoenicians and Northern Arizonans, Southwest Greens of the Valley slowly began spreading the word about synthetic turf throughout the greater Phoenix area. 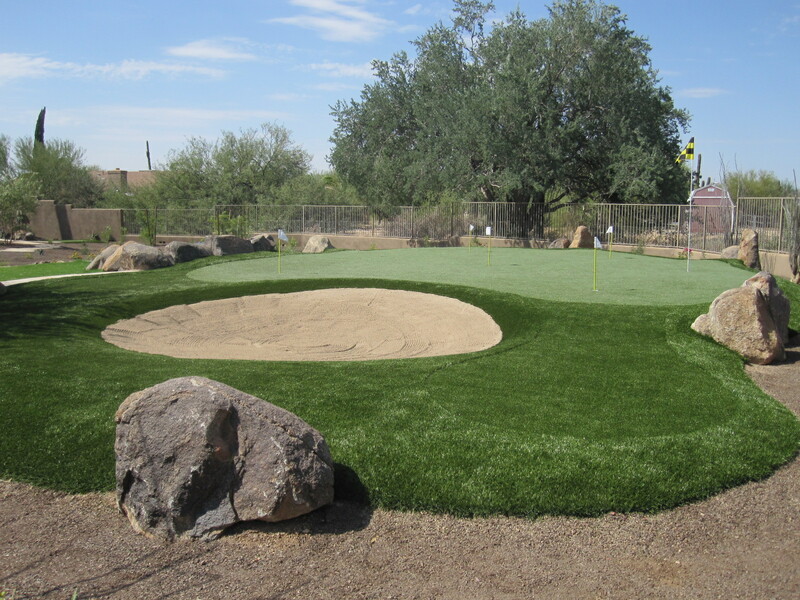 If you would like to learn more about a synthetic lawn or custom golf green for your home or office, please call us today at 480-664-9417 or contact us now. Take your golf game to new heights! 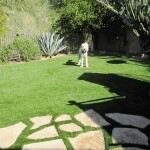 Dogs love turf lawns. So will you! 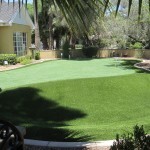 What is the cost difference between real grass and artificial grass? 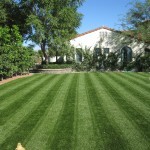 Posted by Steve on May 23, 2012 Comments Off on What is the cost difference between real grass and artificial grass? 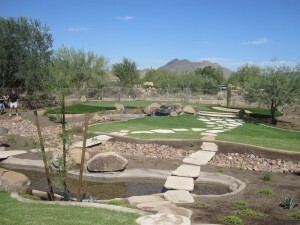 The cost savings case for synthetic grass from Southwest Greens of the Valley in Phoenix, Arizona. If you’re thinking about installing synthetic grass as your new lawn this summer, your on your way to saving a lot of time and money! Here’s our analysis when comparing live grass to synthetic grass from Southwest Greens of the Valley. 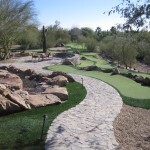 Total cost = $6,500.00 for your turf and complete installation. In a few short years synthetic grass will pay for itself and give you savings for an additional 6 – 10 years without the maintenance headaches, and you’ll be saving tons of precious water, too! If you would like to view pictures, please visit our gallery. Just look how real this looks! Can you tell the difference? Yes, this is synthetic grass! For your complimentary analysis and consultation in the Phoenix, Arizona area, please call Southwest Greens of the Valley at 480-664-9417. Are you looking to take your golf game to the next level? 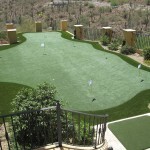 Why not start with your very own custom putting green in your backyard? Besides taking strokes off your game, you’ll be the envy of your friends, but just let them look. You don’t want them to get that same edge, right?! 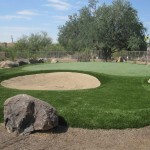 Southwest Putting Greens International, Inc. and Southwest Greens of the Valley began installing synthetic turf grasses, play area, putting greens, tee boxes, tee lines and more here in the Valley of the Sun in 1996. 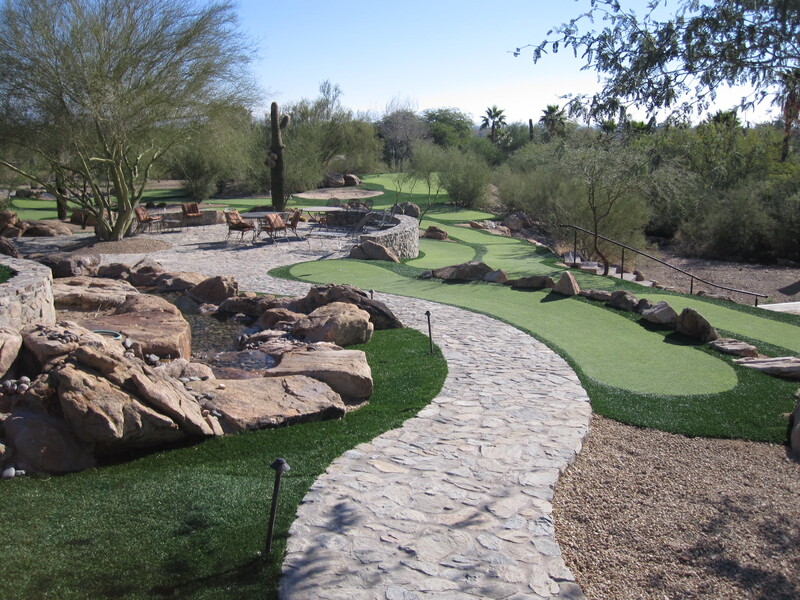 As one of the first companies to offer this product to Phoenicians and Northern Arizonans, Southwest Greens of the Valley slowly began spreading the word about synthetic turf throughout the greater Phoenix area. 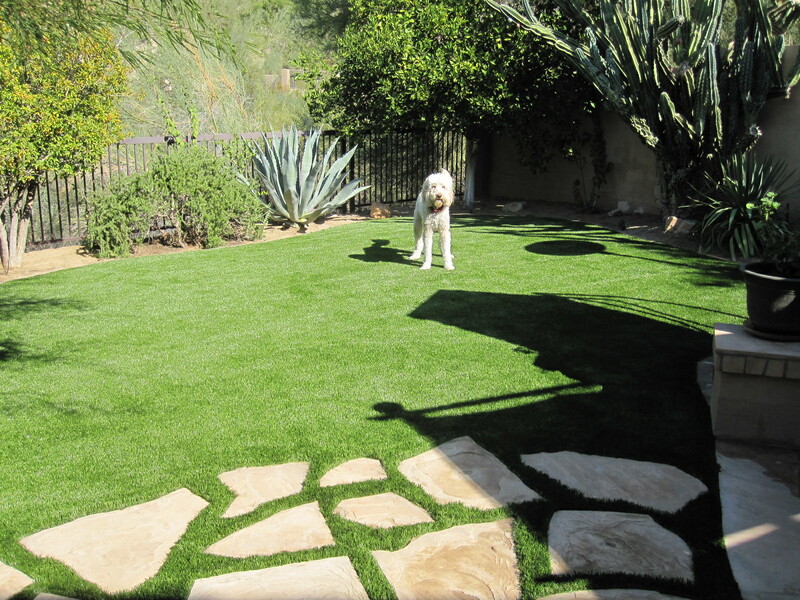 At first, artificial grass was not widely accepted due to the stigma that it looked “fake”. 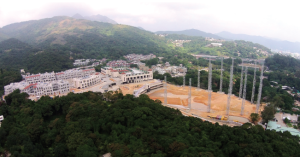 Ten years later, Southwest Greens has evolved into the largest synthetic turf installation company in the valley by providing our clients the highest quality product and customer service to meet every need.